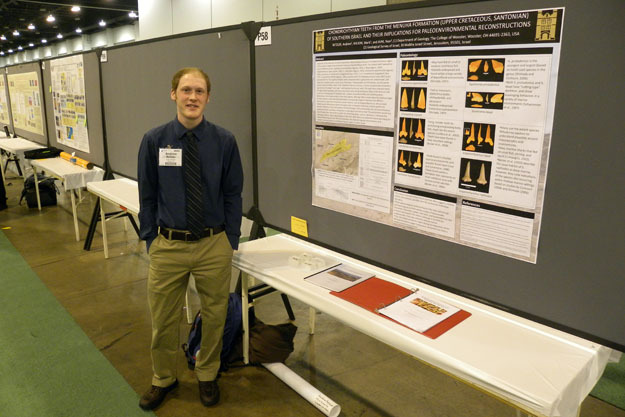 DENVER, COLORADO — The first set of Wooster geology student posters have been successfully delivered at the Geological Society of America annual meeting. Three of our students did very well with their clear graphics, intelligent explanations, and winning smiles. Elizabeth Deering (’11) presented her I.S. work on Eocene stromatolites in Utah, Becky Alcorn (’11) described her work with Icelandic sub-glacial basalts, and Andrew Retzler (’11) discussed his Cretaceous shark and other fish teeth from Israel. 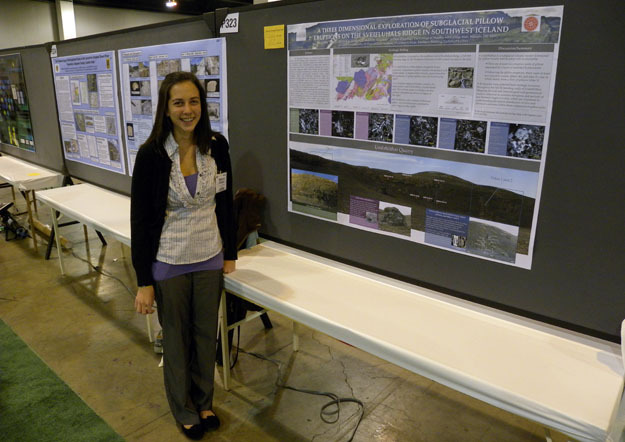 Elizabeth Deering ('11) and her GSA poster. 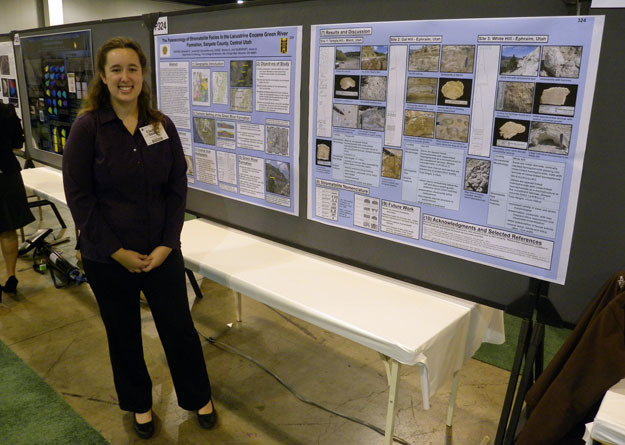 Becky Alcorn ('11) and her GSA poster. Andrew Retzler ('11) and his poster.